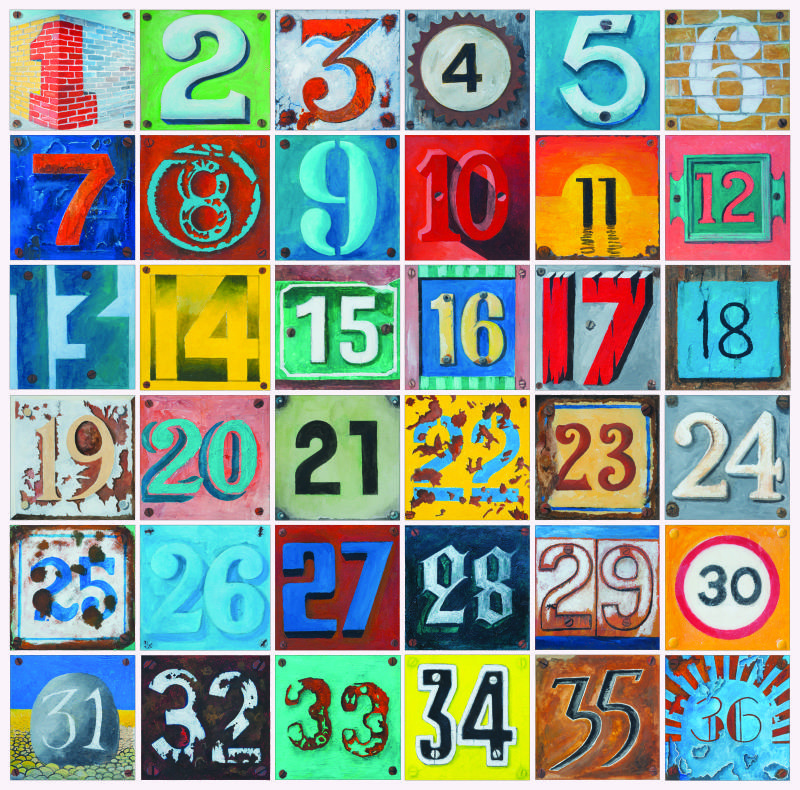 If you want to know how successful you are with your Social Media endeavors, you’ll need the help of numbers. Numbers and their accountability take you from “gut feeling” to measurable results and are therefore the cornerstone of every professional analysis. Of course, each company has to find out which numbers or KPIs (Key Performance Indicators) represent their business goals best. But there are just so many KPIs that it might be hard for you to determine, which one is the best for you. To make it a little easier, here are all the important KPIs Fanpage Karma has to offer. Please note: We left out numbers, which are fairly self-explanatory like “Number of Fans”, “Followers”, “Posts per day” etc. The growth rate tells your the average weekly growth of a Facebook page. It does this by answering the question “How much had the page to grow in a week on average to get from value 1 to value 2?”. That makes sense, because it gives you a more “stable” impression about your growth without being too vulnerable to sudden spikes or extreme differences. The page grew by 100% in the first week, which is 500 fans: 500 fans + 500 fans = 1000 fans. For the second week it’s another 100%: 1000 fans + 1000 fans = 2000 fans. The Engagement shows an average amount of how often a fan interacts with the posts of a page. It is calculated by dividing the daily amount of likes, comments and shares by the number of fans. If you are looking at a longer period of time it takes the average of the daily Engagement rates. That means, in this week each fan interacted 0.0062 times with the posts of the page. The post interaction shows how active the fans engage with a post of a page. It shows the average amount of all interactions (likes, shares, comments) for each fan per post. As opposed to the Engagement Rate, the Post Interaction ignores days without any posts. Now we sum up all interactions by fans for every post and divide it by the amount of posts. That means, in this week each fan interacted 0.00429 times with each post of the page. The service level shows how many userposts get a reaction of the page in form of a like, a comment or deletion. Reactions below “normal posts” (published by the page itself) do not count. Page A got 20 userposts within the chosen period of time. 4 of them got a like, 5 a comment and 2 were deleted; 11 userposts got a reaction, which equals 55% (20*55/100=11). The response time describes how long a page needs to respond to userposts. For this value, we only take into account when a page makes a comment to a userpost. This is mainly because Facebook does not provide time values for likes and shares. We first calculate the response time for each userpost and then take the median of all posts for the selected period of time. The median is the value, that is exactly in the middle of all values, when you sort them. The value in the middle is 0.88h, so the Response Time is 0.88 hours. The ad value is calculated by taking post reach and an average price for online advertisement into account (cpm). It shows how much you had to spend if you would have wanted to reach as many people with common online ads as you did on Facebook. We use an estimated cpm of $8.50 angesetzt and multiply it with your reach. Note: You can set your own cpm for different post types if you’re the admin of a page and granted us insight rights. The Page Performance Index (PPI) is a combination of engagement and growth. It combines both figures to provide an estimate value for a pages success and is based on the average growth and engagement values of all pages in our index. The PPI will be set to 100%, if a page is part of the top 10%, so 90% of the pages we are monitoring have less engagement and growth. Afterwards the engagement and growth are multiplied, the square root is extracted and the values scaled to 100 to present the top end. Page A has an average Growth rate of 3% and an Engagement rate of 0.2%. Both values are better than 90% of all pages in our index, which produces “temporary” values of 100% Growth and 100% Engagement. These temporary stand-in values multiplied equals 10,000 (100*100), the square root of 10,000 again is 100, which results in 100% PPI. The Karma Level is a weighted engagement figure and fairly similar to our Engagement value. Shares are assumed to be three times, comments two times more valuable than likes, with more recent interactions being more “valuable”. This number gets set off up with the number of fans, which leads to a daily Karma value. If you’re looking at a longer period of time, we take the average of all daily Karma values. The PPI (Profile Performance Index) of Twitter is calculated the same way as it’s Facebook-counterpart. But with Twitter we not only use Engagement and Growth, but also Karma, Followers and Follwers/Friends-ratio. We then compare these values with the average of all Twitter profiles, multiply them and extract the square root. The Engagement shows an average amount of how often a follower interacts with the account. It is calculated by dividing the daily amount of retweet and favors by the number of followers. If you are looking at a longer period of time it takes the average of the daily Engagement rates. “Conversations” are twees, which are sent to another Twitter user via an @-reply. It tells you how many of these tweets you sent in relation to the total amount of tweets published. A value greater than 50% means, that you are interaction with other users more often than you are just publishing tweets “one way”. Friends is the amount of Twitter profiles, who are followed by you. The Followers/Friends-ratio tells you, if you have more followers than you are following people or the other way around. Profile A follows 254 Twitter profiles, but has 1456 followers. That results into a F/F-ratio of 5.73. The Karma for Twitter is very similar to the one we use for Facebook, but instead of likes, comments or shares, here we use retweets and favors, with retweets being twice as “valuable” as favs. The YouTube KPIs are pretty much self-explanatory. But because there are no “development based” KPIs (like growth etc. ), the difference is shown by the little green or red numbers right below the values in your dashboard overview. What’s you favourite KPI? Check it now for free with Fanpage Karma!